Rovio has launched its Accounts feature for Android and iOS users worldwide, enabling users to save progress and sync across devices. Rovio had launched the Accounts feature earlier in May this year, but it was initially limited to a few countries and worked on a couple of games only. Now, the Angry Birds developer has launched Rovio Accounts for Android and iOS devices worldwide. The Rovio Accounts feature allows users to sync their progress on games such as Angry Birds across devices. 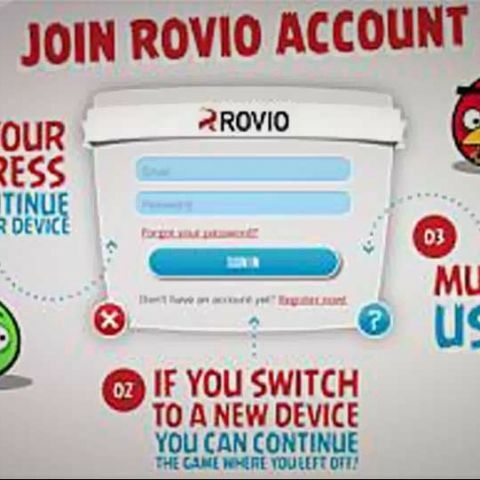 To use Rovio Accounts, users need to register on the site. Once their Account is created users can play on multiple devices from the same level as well as monitor and save their progress on games. Users will be saved from the frustration of playing games again and again from different devices to reach the same level. The Accounts feature not only gives the users benefits but creates a platform for Rovio to interact with gamers. The developer can also use Accounts as a platform to communicate new titles or promotions to users in the future. Rovio teases "the next epic Angry Birds game"
Rovio has also added that the Account feature is available for the original Angry Birds game and The Croods for now. The developer will also be rolling out the feature for other Angry Birds as well as non Angry Birds titles soon. Check out the team's Rovio Accounts FAQs for more details.